If you're planning a trip to Sun Valley this spring, you'll definitely want to make some time to stop and smell the flowers. There are plenty of hiking options depending on how far you want to travel, what kinds of wildflowers you'd like to see, and how long you want to walk. Here are just a few options to check out! You'll find this wildflower wonderland just west of Hailey. Here, you can hike gorgeous trails surrounded by freshly-blooming lupine (blue, purple, and pink colors) and arrowleaf balsamroot (vibrant yellow colors). Looking for mountain scenery? The Proctor Mountain area boasts a three-mile loop of arrowleaf balsamroot, aspen and evergreen trees, and pristine views of Ketchum. Bald Mountain is a particularly unique choice because, on top of its gorgeous wildflower-covered surroundings, it also offers water fountains, fascinating memorials, and more. You'll have plenty to explore among the numerous trail options. Looking for a little bit of a challenge? 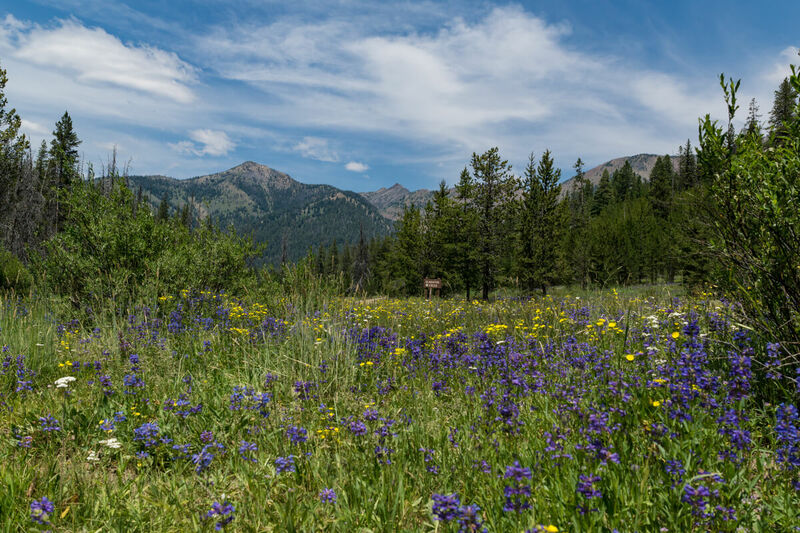 Grab your bike, hiking shoes, or even your horse and head north of Ketchum to the Taylor Canyon Trailhead, where you'll see arrowleaf balsamroot and three different mountain ranges. Although Camas Creek is a longer drive than other options, the vibrant colors, diverse wildlife, and beautiful views are practically unparalleled. You won't regret the trip! Ready to see the wildflowers bloom in Sun Valley? Wondering how you'll get there? Contact us to find out how to catch a shuttle!